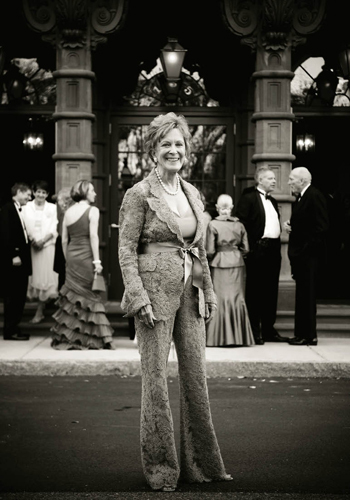 It’s a familiar scenario: an evening abuzz with the arts. 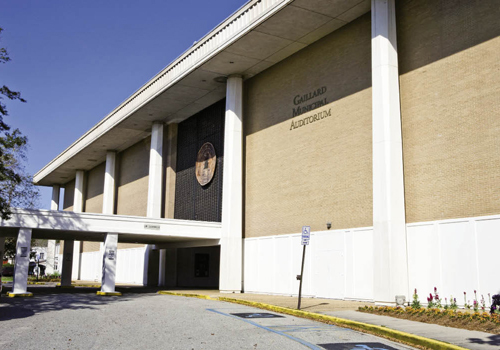 The sound of an award-winning pianist soars through the Gaillard. 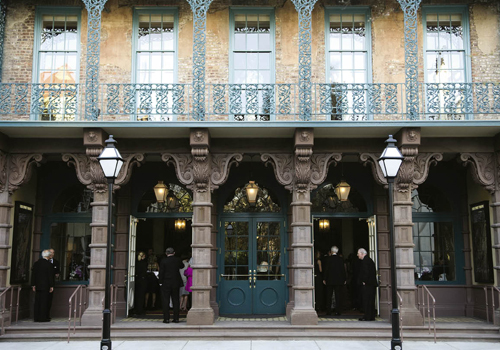 The footlights are ablaze across town, from the Charleston Ballet and Sottile theaters to Charleston Music Hall and Theatre 99. 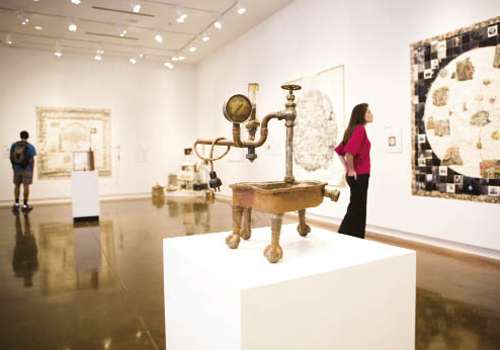 Patrons fill the Gibbes Museum of Art for a photography exhibition, while aspiring artists attend a figure-drawing class at Redux Contemporary Art Center. 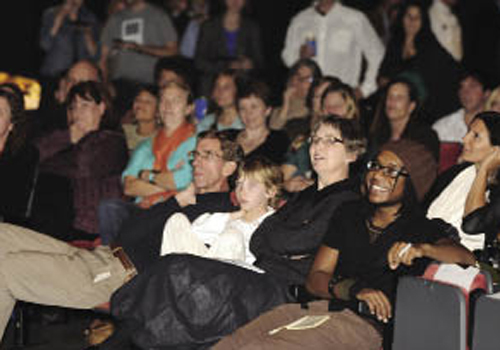 Several hundred high-energy creative entrepreneurs take over the Hippodrome for the rave-like Pecha Kucha Charleston (think Toastmasters for creatives), and a few “pop-up” shows occupy empty storefronts. 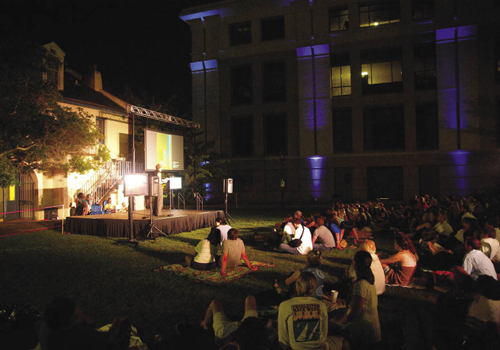 In total, the events have a combined capacity of approximately 6,000—roughly five percent of the peninsula’s population—dedicated to showcasing arts and culture on this particular night. 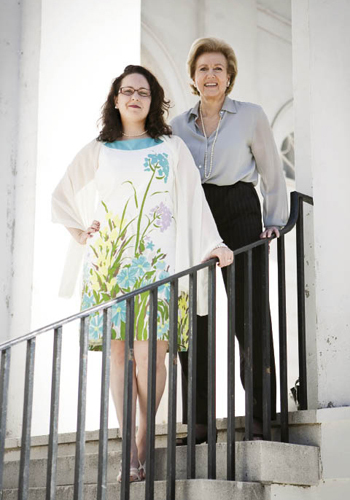 While such a lineup wouldn’t draw undue attention in May and June when balmy breezes usher in the nonstop performances associated with the Spoleto and Piccolo Spoleto arts festivals, there’s a twist. It’s a wintry, rain-streaked January night—the antithesis of those elysian spring evenings. 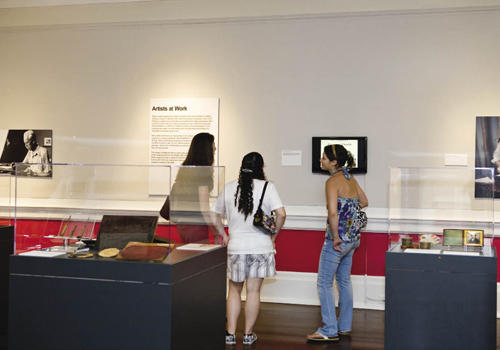 In spite of the struggling economy, Charleston’s identity as a culture center has never been more clear. 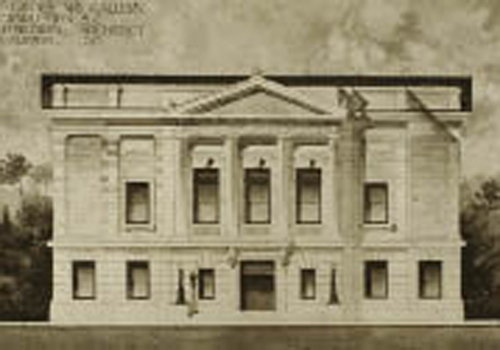 Nor has it been illustrated on this scale, a quantified increase attributed to the work of a dedicated mayor along with countless artists, administrators, and patrons, who, coupled with millions of dollars in construction, have contributed to a dynamic reenvisioning of the arts. 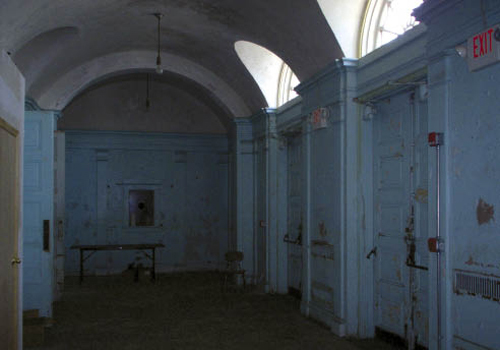 Built: 1736; burned circa 1740; by the mid-1750s, a new theater building existed on the site. 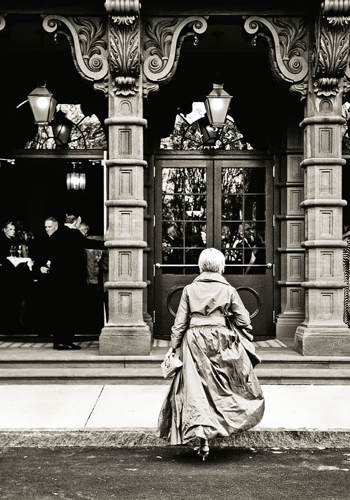 In 1809, the property became part of the new Planter’s Hotel, which closed in the 1870s. 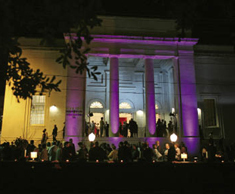 Resident Acting Co.: Charleston Stage Co. 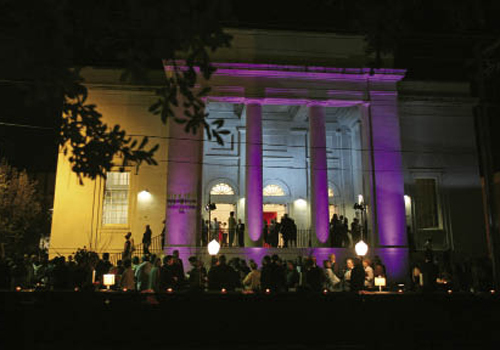 Although the city’s artistic past reaches back nearly 275 years—the first opera in the colonies (Flora) was performed here in 1735, and North America’s first playhouse (Dock Street Theatre) opened a year later—Charleston didn’t emerge as an artistic muse until the 1920s, when a cadre of local and visiting poets, playwrights, musicians, and painters—including Alfred Hutty, Alice Ravenel Huger Smith, and DuBose Heyward—turned their collective artistic eye to the natural beauty and curious customs of the Lowcountry. 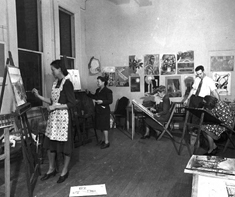 Their prolific body of work, which became known as the Charleston Renaissance (1915-1940), captivated the nation and engendered the start of our tourism industry. 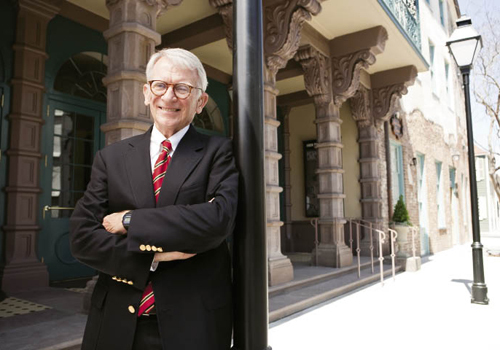 “Theater, by its nature, is always endangered,” says Spoleto general director Nigel Redden. 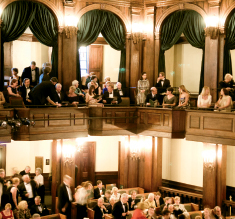 “Tastes change, what people want to do changes, and theaters are large, expensive buildings to maintain.” When King Street’s Garden Theatre closed in 2002 and reopened as an Urban Outfitters, it was a clarion call for venue preservation heard across the city. 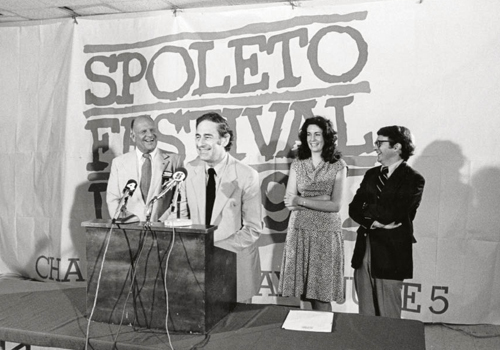 It also thrust Spoleto into the business of theater renovation. 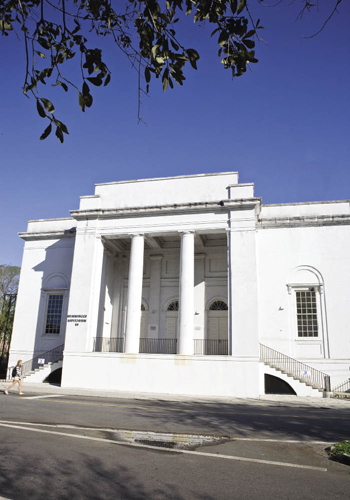 To prevent the loss of another venue, in 2007 Spoleto Festival USA spearheaded the $6-million overhaul of Charleston County Schools-owned Memminger Auditorium downtown, a project that required renovating the 1939 building and retooling its layout. 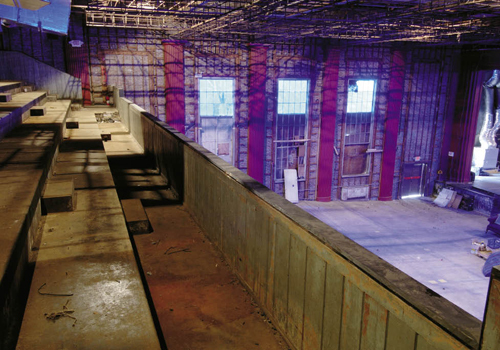 The reconfiguration “inspired directors and designers to think about different kinds of productions, things that weren’t possible prior to the renovation,” says Redden. 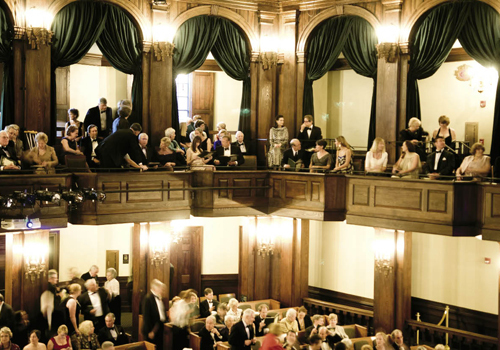 It was a shot in the city’s cultural arm akin to the Dock Street’s Depression-era resurrection. 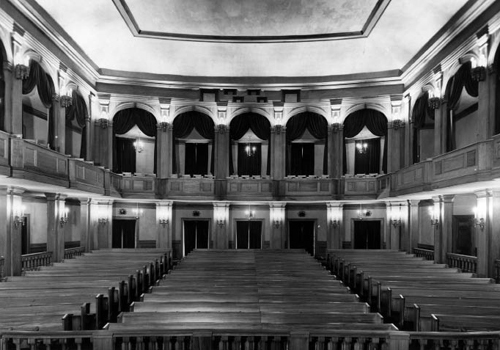 With the Schermerhorn Center realized, Ingram looked homeward, specifically to downtown’s Gaillard Municipal Auditorium. 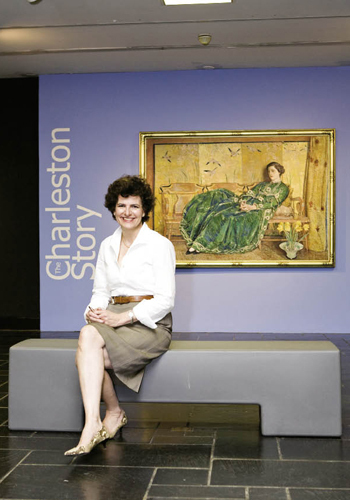 “A city as beautiful as Charleston deserves for this facility to be improved and made in accordance with the architecture of the surrounding area,” says Ingram, who serves on various Lowcountry boards and is chairwoman of the Spoleto Festival board. 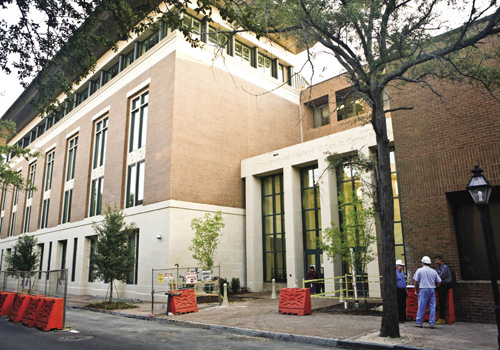 Charleston city officials, who have been pondering the possibilities for the 1960s-era structure for some time, consulted with Ingram and hired David N. Schwarz Architects, the same Washington, D.C.-based firm that designed the Schermerhorn Center to critical acclaim. The firm is now entrenched in a pre-schematic design phase that considers the needs of local performing arts groups, traveling shows, exhibitions, and private events while balancing acoustic and structural improvements. 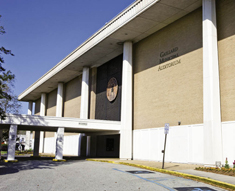 Although the ultimate plan to overhaul the existing structure will have to win approval from city council, a $20-million matching pledge has been secured, for a total that could account for nearly half of the $100-million price tag. 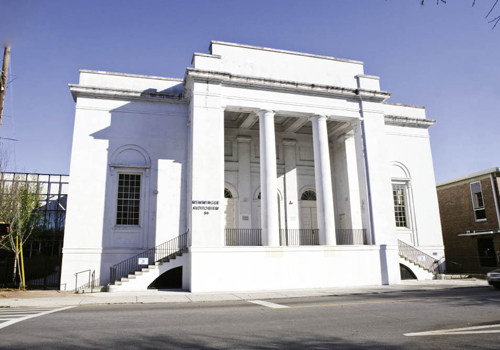 Less than a mile away on Meeting Street, a venerable building co-owned by the city and the Carolina Art Association (a nonprofit founded in 1858) is also targeted for overhaul, albeit on a comparatively moderate scale. 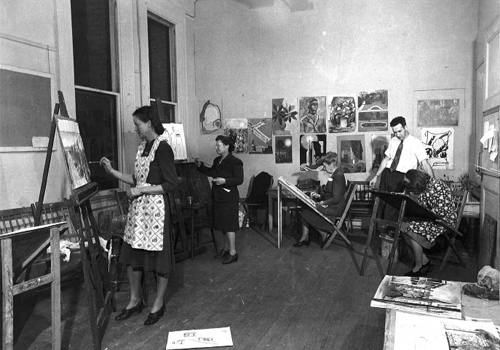 In November 2009, the city approved the $1.7 million necessary to transform the Gibbes Museum of Art back into an academy model institution, where apprentices learn from a master in an atelier setting—its original 1905 mission and configuration. 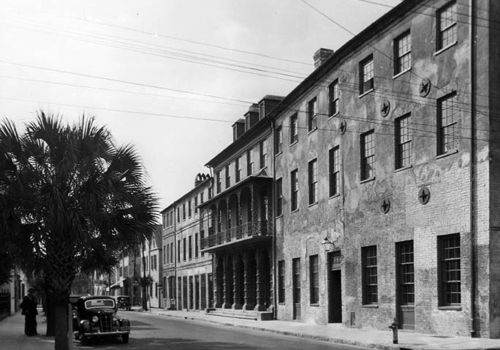 Today, the window-faced gallery fronts Calhoun and St. Philip streets, one block west of Marion Square, and is exposed to copious year-round foot, bike, and car traffic from locals and tourists alike. And with its 4,000 square feet—more than double its former footprint—Sloan now has the space for major, large-scale installations like this month’s “Call & Response: The Art of Nick Cave and Phyllis Galembo,” a debut collaboration between the Halsey and Spoleto. 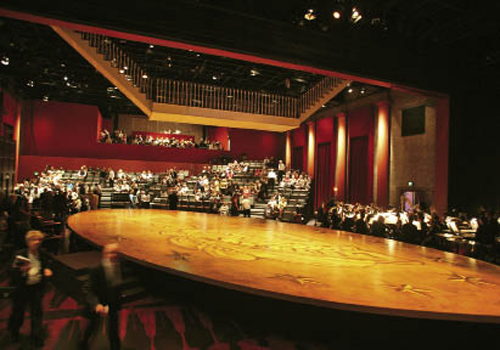 Space: The multipurpose rental facility has an auditorium with full stage, orchestra pit, and 2,726 seats; a 15,000-square-foot exhibition hall; and four meeting rooms. 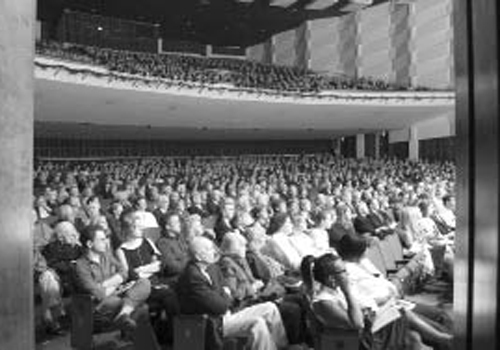 Proposed Renovation: The city is reviewing plans to improve the use of performance space as well as structural elements and the acoustics. Riley points to a social theory from economist Richard Florida, author of The Rise of the Creative Class and Who’s Your City?, to underscore the importance of this influx. Florida says those who create new ideas, new technology, and/or creative content as their economic function will be at the forefront of industrial growth over the next decade. Riley contends that the Lowcountry meets Florida’s three requisites for success with our highly talented, skilled population; diverse community; and digitally connected infrastructure that can support a nontraditional work force—one that might telecommute and doesn’t necessarily work 9 to 5 in a cubicle-laden, high-rise office. 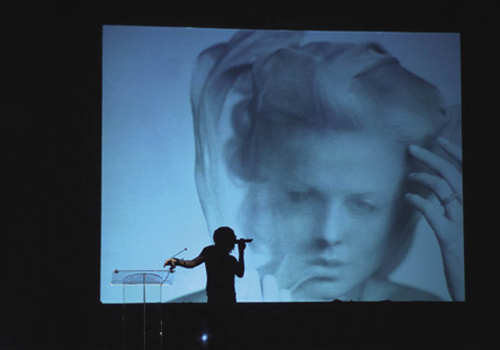 Amid the bevy of optimistic creative entrepreneurs and major donors ushering in a new age of facilities, arts organizations are exploring ways to sustain art—everything from sculptures spun of human hair to the austere refinement of classical music concerts. 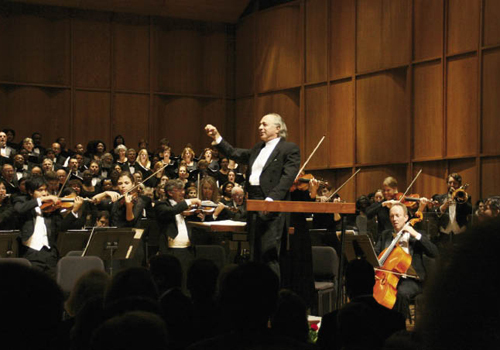 However, the announcement in late March that the Charleston Symphony Orchestra was suspending operations for the first time in its 75-year history was an ominous reminder that art does not exist in a vacuum. 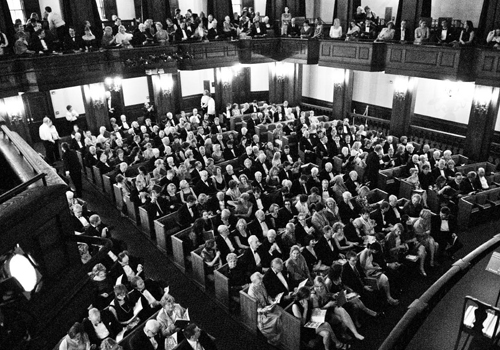 At a symposium for artists and arts professionals held at the College of Charleston in February 2010, John F. Kennedy Center for the Performing Arts president Michael Kaiser cautioned his audience, saying any group that allows a recession to dictate its programming is effectively dead. He argued against the notion of slashing programming at the first sign of an economic downturn. 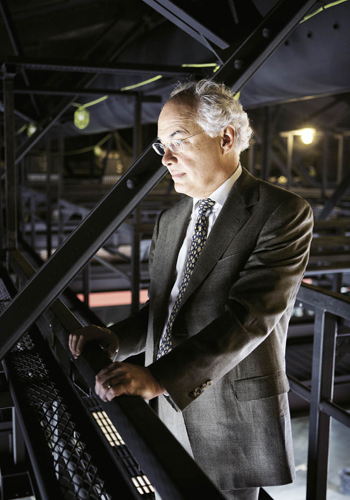 “The counterintuitive thing and scary thing to do is think big,” he said, suggesting that arts groups work five years in advance, which allows sufficient time to cultivate underwriting. 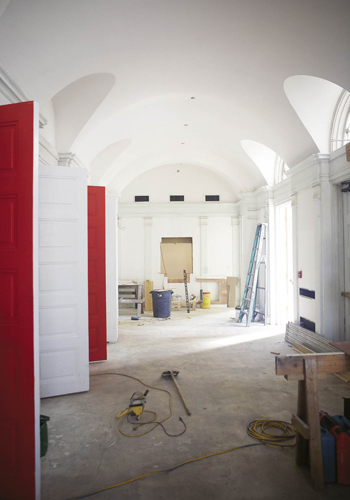 That caught the attention of Spoleto trustee Bill Medich. 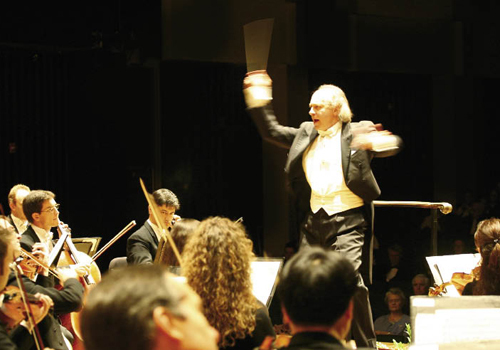 “If the arts groups focus on putting quality onto the stage and effectively communicate what they’re doing, which requires critical self-analysis, it will work,” says Medich. The arts festival for the alternative crowd, Kulture Klash has been drawing edgy creative types to the Navy Yard at Noisette since the first biannual event was held in November 2007. The one-night showcase transports attendees to a big-city industrial scene, where art is on the walls as well as live and in action, with spoken word, aerial acrobatics, graffiti, and all manner of funky performances. 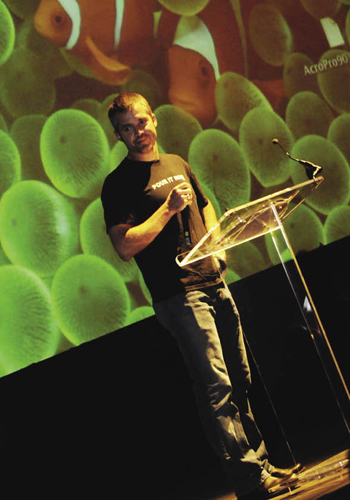 Sadly, organizers had to cancel this spring’s installment as they search for a new venue. They hope to have one by early fall. In December 2009, a group of local 20-somethings opened this community center for creative expression. 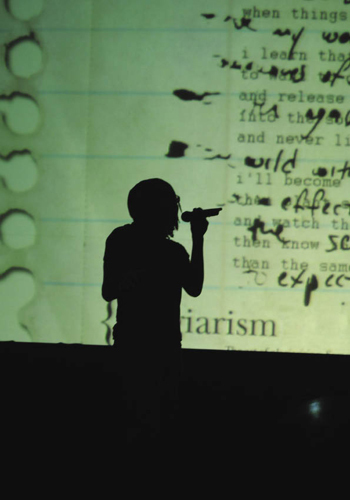 Run by volunteers and funded by donations, the venue offers art shows, musical performances, and workshops, as well as a book and ’zine library. 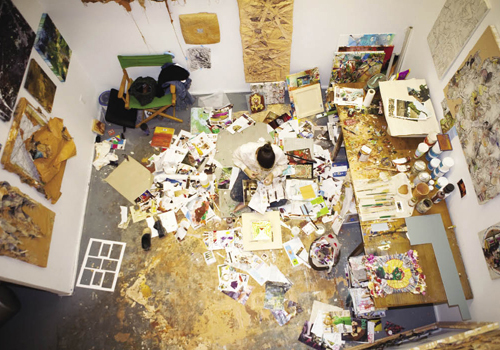 From May 6 to 31, Outer Space presents “Nothing at the Moment,” an exhibition of new paintings and hand-pulled screen prints by Karen Ann Myers, executive director of Redux Contemporary Art Center, and Tony Csavas, an adjunct professor of painting and drawing at College of Charleston. 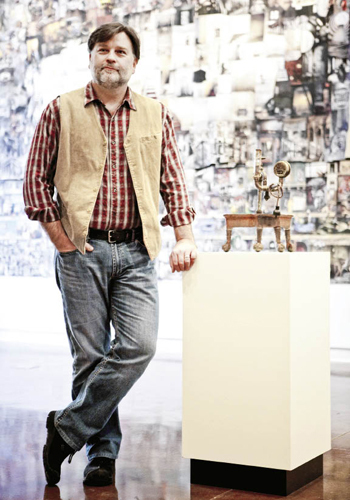 There will be an opening reception on May 6 from 6 to 9 p.m. 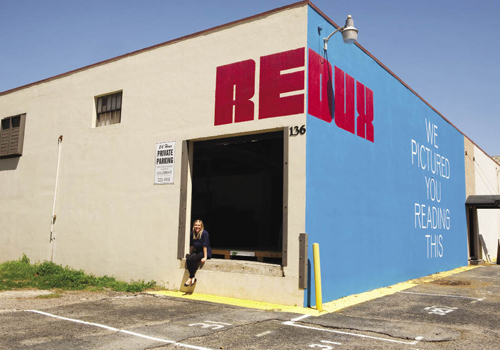 Located in a 6,000-square-foot warehouse on St. Philip Street, Redux Contemporary Art Center has grown into its feet since its founding eight years ago. 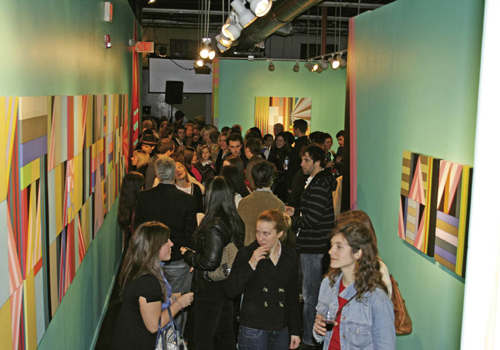 With a mission “to introduce new contemporary visual artists to the community,” the nonprofit creative hub presents year-round art exhibitions, lecture series, and film screenings; hosts arts classes, workshops, and special events; houses 15 artists in affordable studio spaces; and provides the only public printmaking and darkroom facilities in the city.